Why, oh why, do we never see a goth in space? Freehanded. 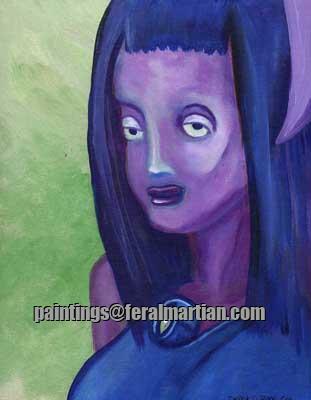 Oops, tiny fleck of paint in the green background by her eye - I pass the savings on to you!